Whether you're heading off on a weekend escape or an extended vacation, it's a good idea to know a few things about Tarangire National Park before setting off. You'll find this town 300 miles (483 kilometers) northwest of Dar es Salaam, the nation's capital. Babati is a close-by notable area located 25 miles (40 kilometers) to the southwest. 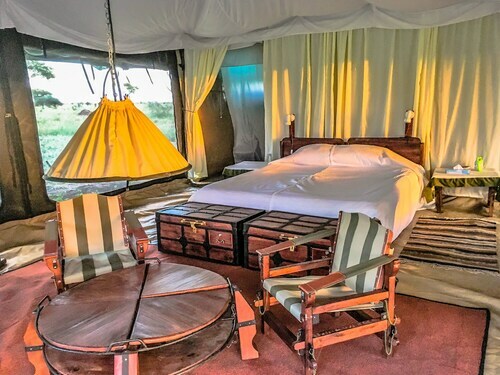 Tarangire National Park accommodation and flight deals can easily be secured via Travelocity, and you won't believe the savings. Just pick from more than 400 partner airline companies and 665,000 properties. From accommodations and airfares to activities and rental cars, we offer 24/7 personal assistance with our Customer 1st Guarantee. If you somehow discover a better deal elsewhere, we will reimburse the difference^. Adjustments to package bookings never incur any hidden fees from us. And as long as you get in quick, many accommodations won't charge a fee either^. Where do you fly into for Tarangire National Park? There's no better feeling than finally hitting the tarmac in a totally new place. If you're heading to Tarangire National Park, chances are you'll fly into Arusha Airport (ARK). It's 55 miles (89 kilometers) to the northeast of the central area. Pick up your bags and get set to kick-start your vacation! Can I rent a car in Tarangire National Park? Forget the hassle of buses, trains and pricey cabs. If you want to do some serious exploring in Tarangire National Park, you ought to book some wheels via Travelocity. We make it so easy that you'll be creating your driving playlist in no time at all! Are you ready to get out into nature and have a little fun? The Tanzania region has some fantastic activities to throw yourself into, such as rock climbing. If you'd like to ramp up the fun, also think about going mountain climbing. Babati is 25 miles (40 kilometers) away. It has lots of activities such as Lake Babati. You could also make a visit to Karatu, which is 45 miles (72 kilometers) away. While you are here, you can check out Karatu Playground. Situated in Tarangire National Park, this tentalow is 3.4 mi (5.5 km) from Lake Manyara and 14.7 mi (23.6 km) from Tarangire National Park. 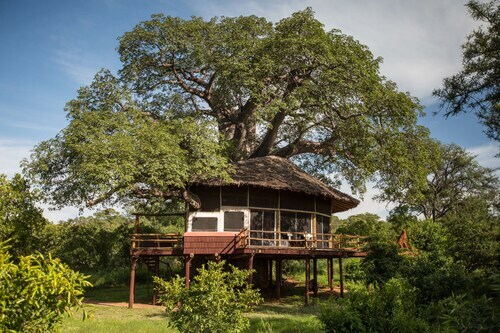 Situated in Tarangire National Park, this tree house is in the same region as Tarangire National Park. 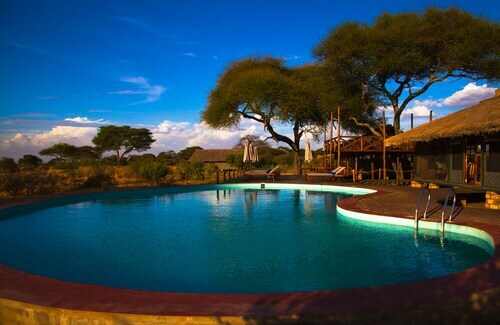 Situated in a rural location, this lodge is 21.2 mi (34.2 km) from Tarangire National Park. Situated in a national park, this lodge is 24.1 mi (38.9 km) from Lake Manyara. 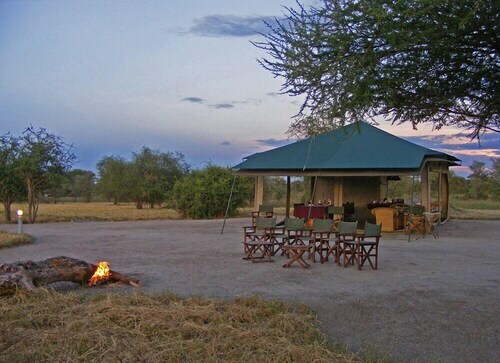 Situated in a national park, this tentalow is 5.2 mi (8.4 km) from Lake Manyara. 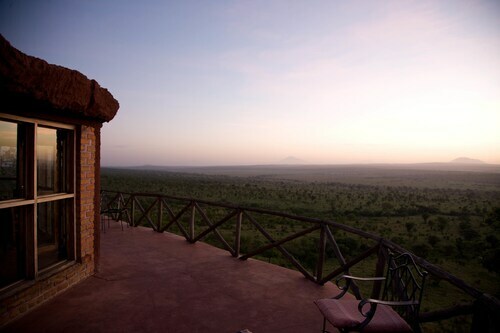 Situated in Tarangire National Park, this lodge is in the same area as Tarangire National Park. 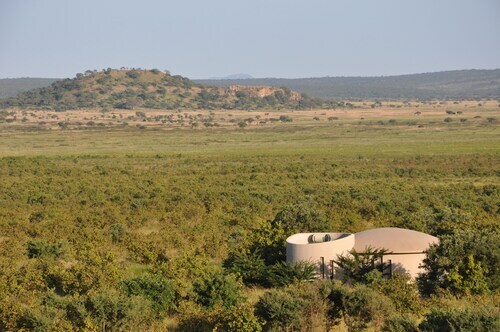 Situated on a river, this tentalow is 7.4 mi (11.9 km) from Tarangire National Park and 10 mi (16 km) from Lake Manyara. Situated in Tarangire National Park, this lodge is 16.4 mi (26.4 km) from Kwaraa Stadium and 17.4 mi (28 km) from Lake Babati.